A popular dish in Tex-Mex cuisine, fajitas typically consist of some type of grilled meat (such as chicken, beef or pork) served with sautéed veggies on a warmed tortilla. Though the term “fajita” originally referred to a dish prepared with skirt steak, fajitas can be made with all cuts of beef as well as chicken, carnitas, shrimp, even portabella mushrooms. 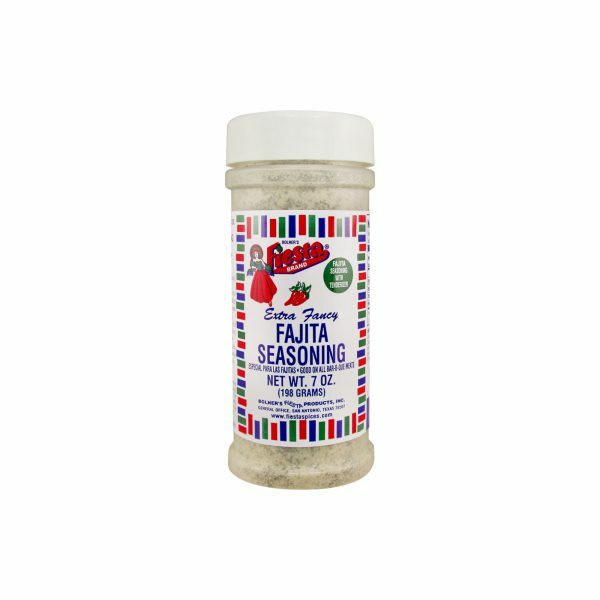 The key to making your fajitas stand out is to flavor them properly – this is where Bolner’s Fiesta Brand Fajita Seasoning comes in! 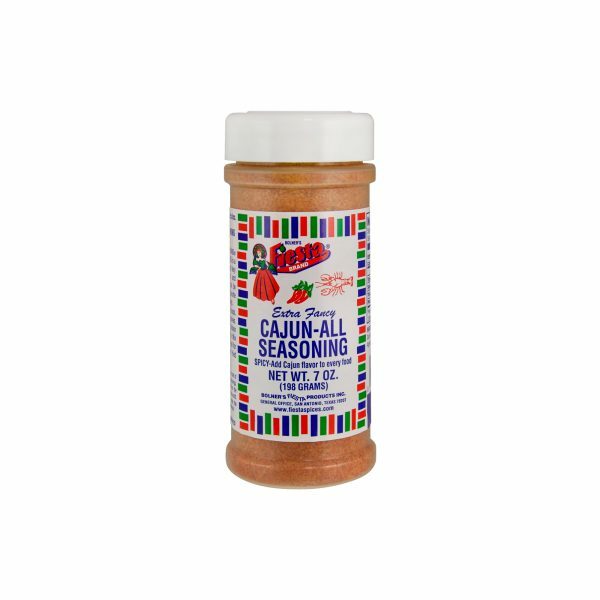 The perfect blend of salt, garlic, onion and Mexican-style spices, this seasoning guarantees delicious, authentic-tasting fajitas each and every time. 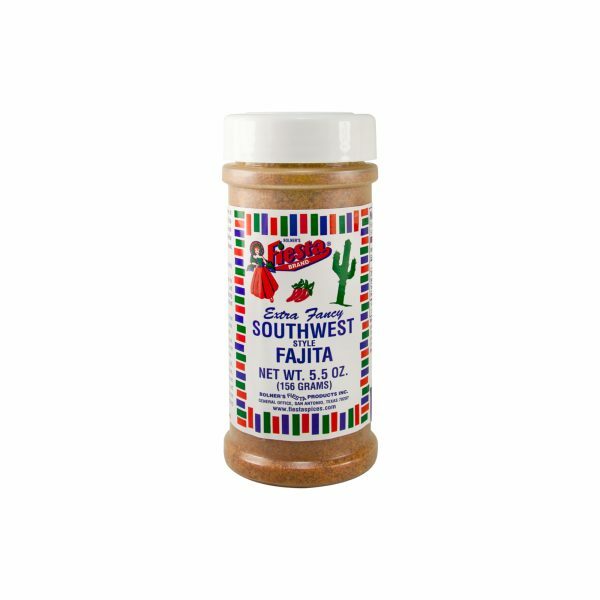 Simply season your steak, chicken, or other meat with Bolner’s Fiesta Brand Fajita Seasoning and let it rest for 30 minutes before searing over high heat. Salt, Monosodium Glutamate, Spices, Garlic, Onion, Calcium Stearate (Free-Flow Agent) and Tenderizer (Proteolytic Enzyme derived from Aspergillus Flavus Oryaze and from Papaya).